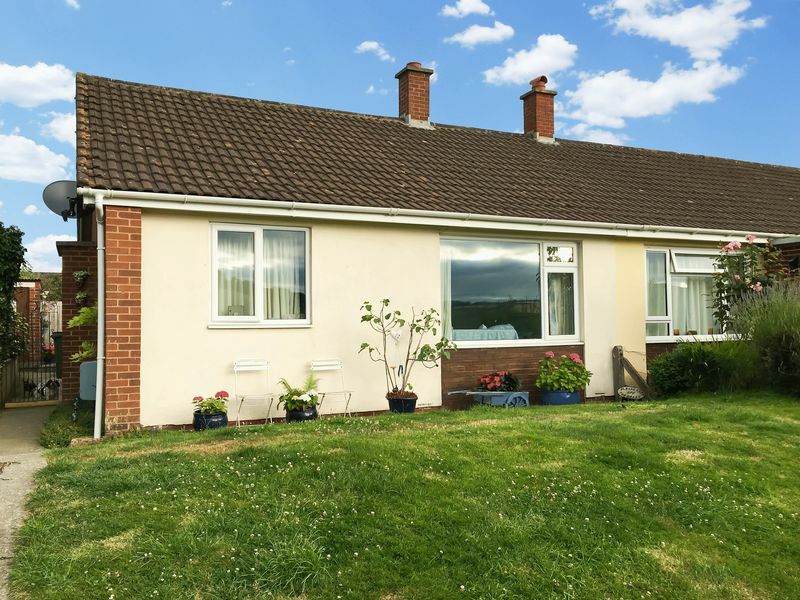 A beautifully presented two bedroom bungalow attractively decorated by the current owners with a large conservatory overlooking the secluded and sunny rear garden. 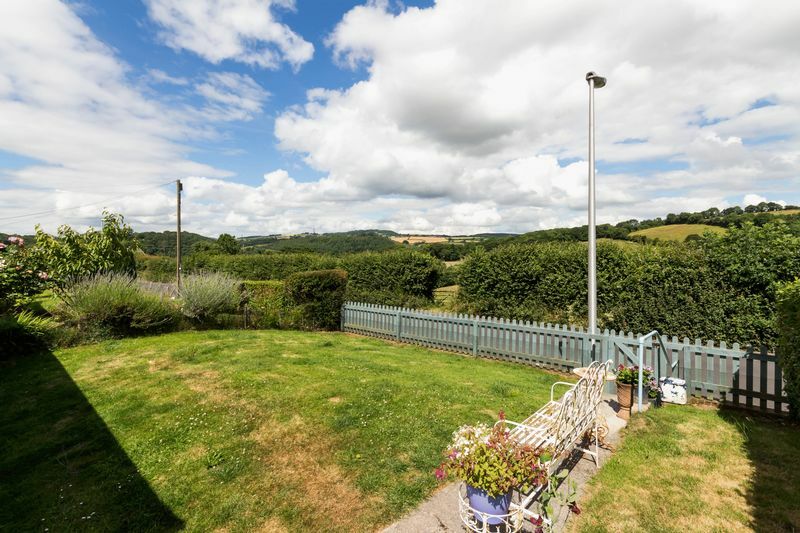 The property benefits from off road parking and enjoys ample light throughout, plus views of the countryside to the front. You enter the property through a UPVC double glazed front door into a hallway where there is hanging space for coats. 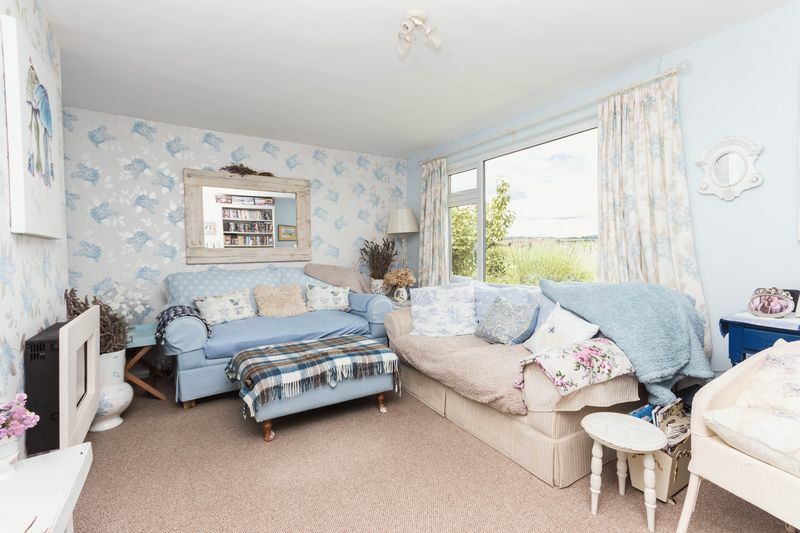 The living room has a generous sized window overlooking the front garden with far-reaching views over the countryside beyond. There is a gas fireplace creating a nice focal point. The kitchen has a built in storage cupboard housing the boiler and a built in larder cupboard. 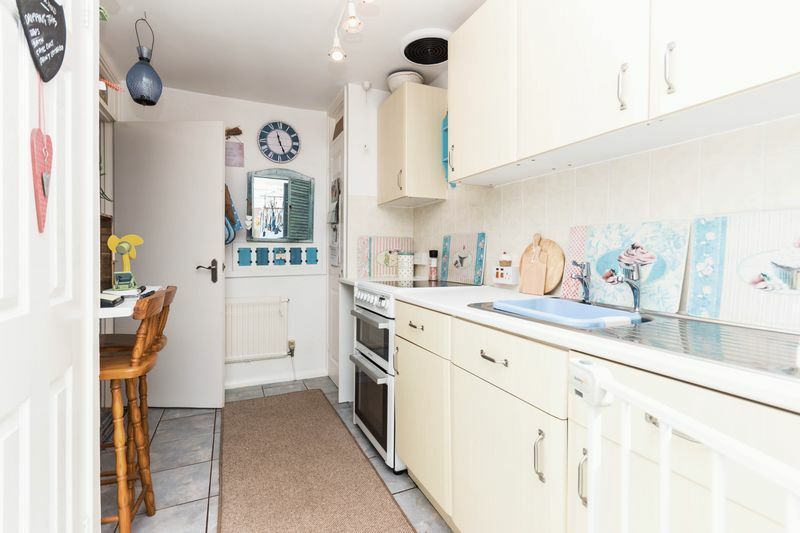 There is a work surface with base units under, a sink and drainer, an all electric cooker and a small breakfast bar. 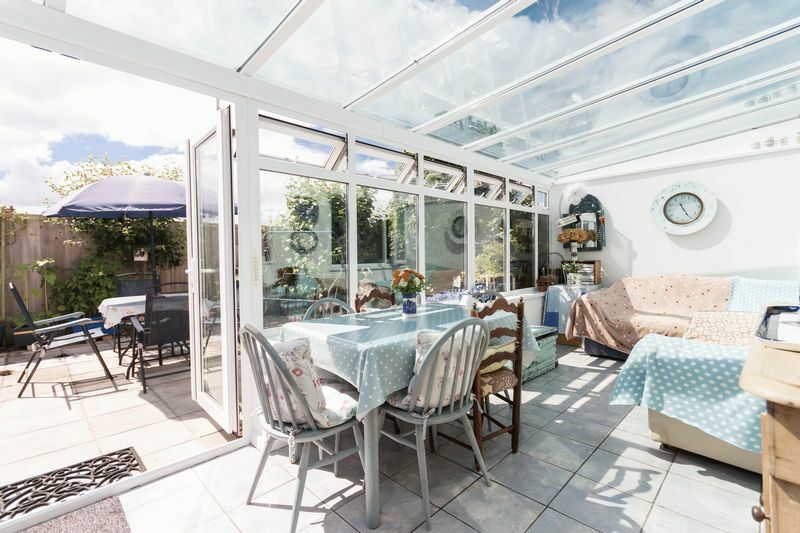 The kitchen opens onto the impressive sized conservatory which spans the width of the bungalow. 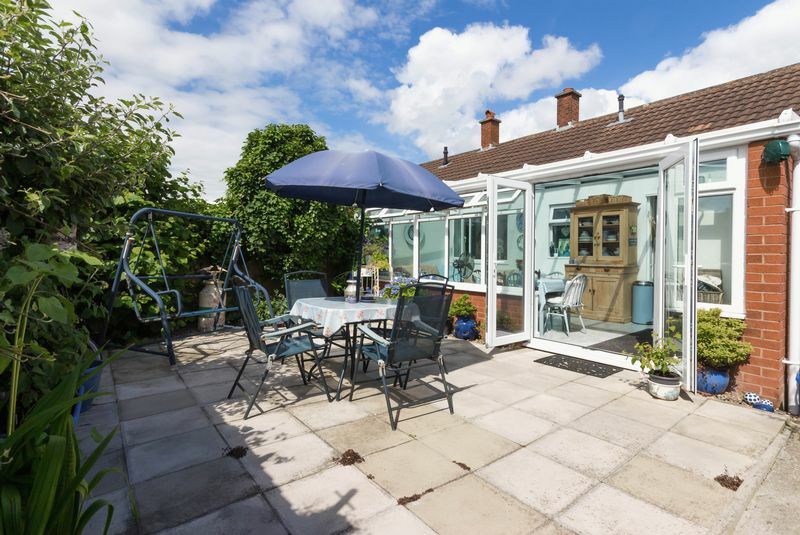 The conservatory has double doors giving access onto the garden and enjoys a plethora of natural light. The floor is tiled and there is a further work surface in line with the kitchen units with space for a washing machine and dishwasher below. 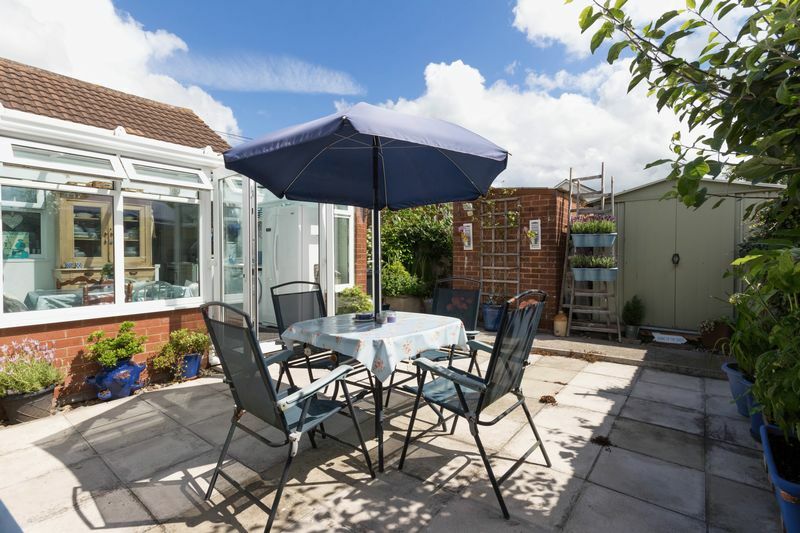 There is space for an American style fridge/freezer and ample space for a table and chairs. 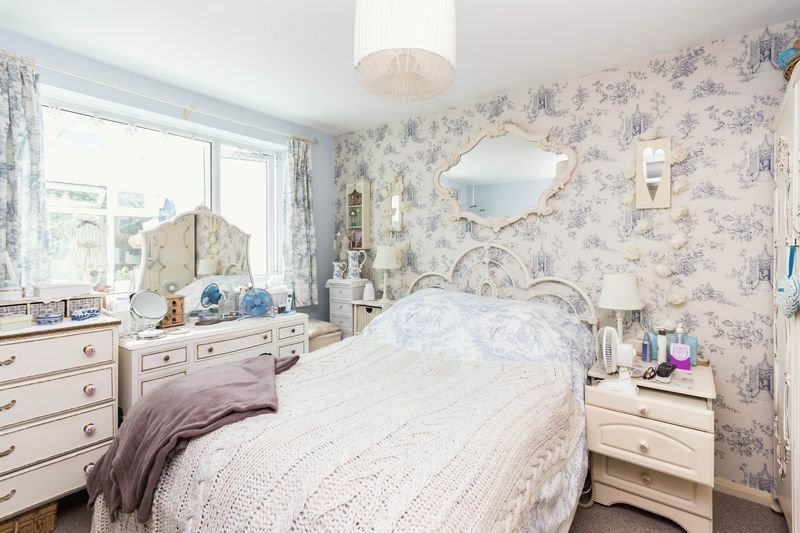 The main bedroom is a double room with a window to the Conservatory. 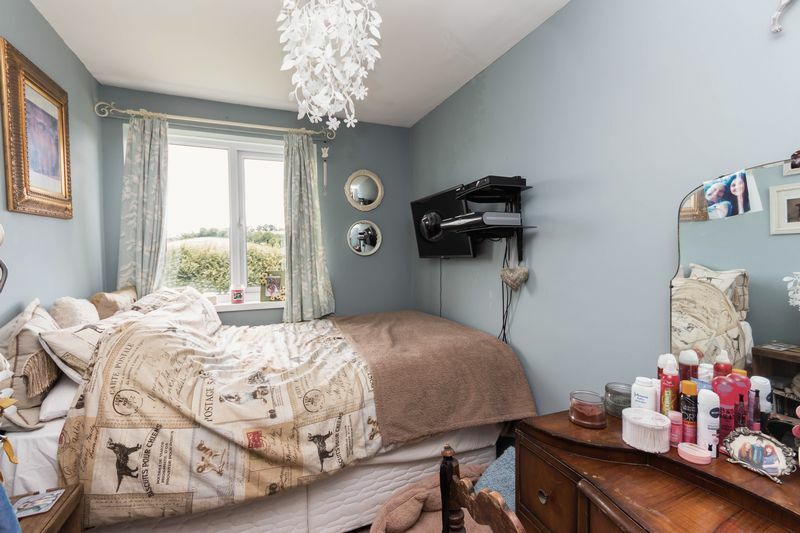 The second bedroom overlooks the front aspect. 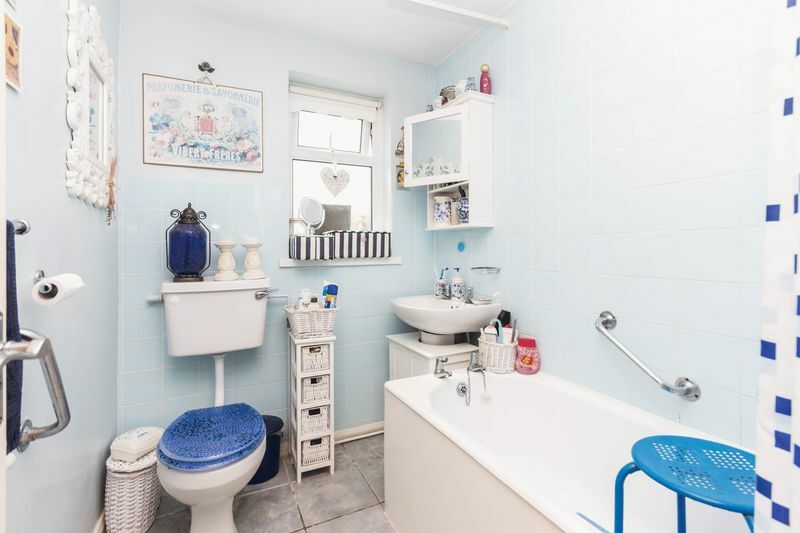 The bathroom comprises a panelled bath with an electric shower, WC and hand basin. The floor is tiled and the walls are partly tiled. 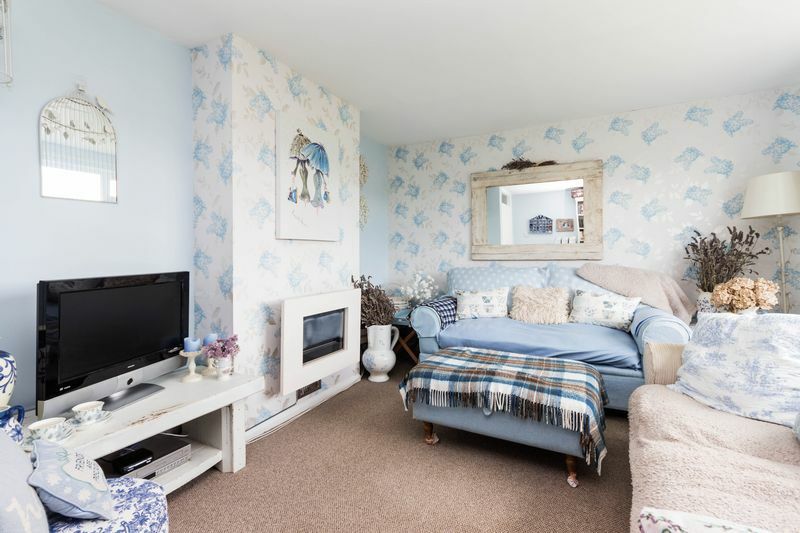 The property has been decorated throughout by the current owner in a 'French Chic' style. Through a gate to the front of the property are steps to a path leading to the front door. The front garden is laid to lawn. The rear garden is laid to paving for easy maintenance, a path leads to the front of the property. There is a brick built storage shed with power and light connected plus a further metal shed, ideal for storing gardening tools. The garden enjoys a particularly private aspect and has a good range of plants and shrubs which helps to create a splendid seating area. A rear gate gives access to a path which runs along to the off road parking area for residents. From our office at 31 Fore Street, Chudleigh proceed out of the town centre past the Parish Church. Turn right into Oldway then continue into Beechwood Road. 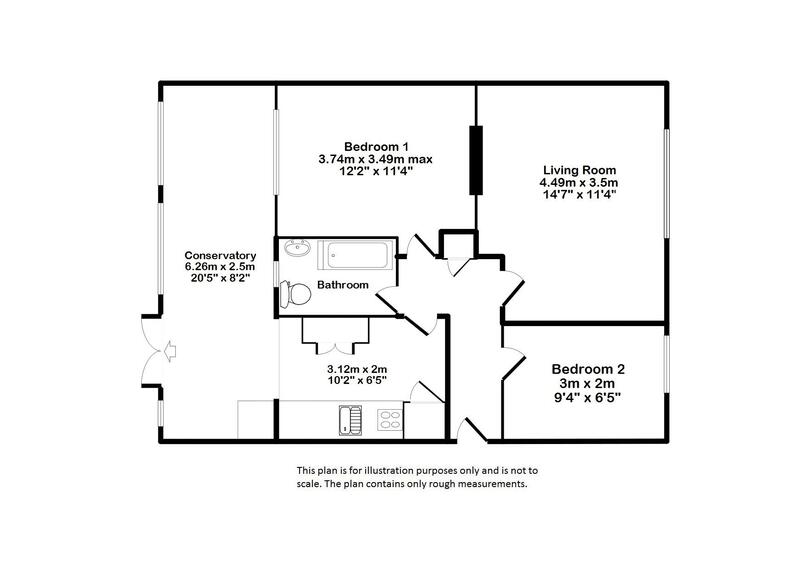 The property can be found on the left hand side.